Maybe. But I have not yet to found one! Yeah, but she is excited that Hitlary becomes President now because the Rats took the House Tuesday. 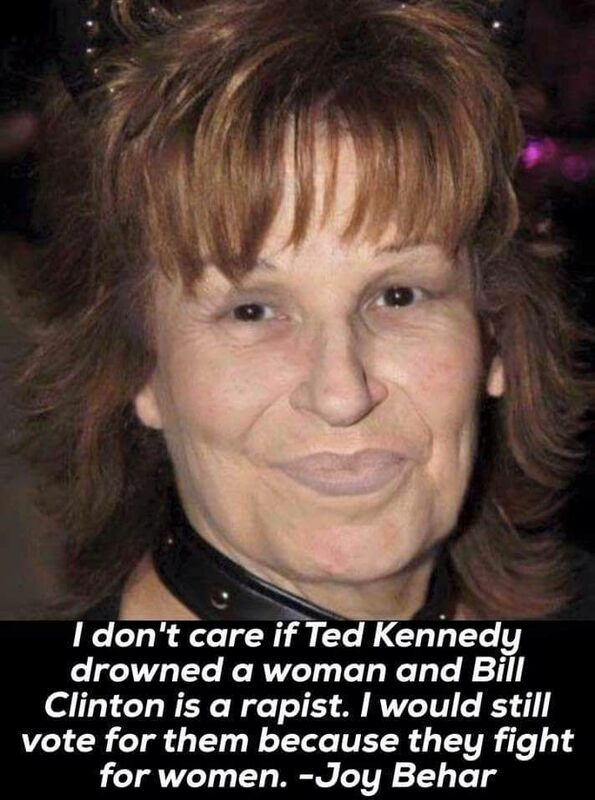 I always go straight to Joy Behar for information on political issues. No wonder you are so confused!!! That's a very special kind of stupidity. Too bad the Ha Ha kid couldn't have appeared over Behar's shoulder as Dowd revealed what a dope she is. I know right! I used to live in Illinois, but in the last Senate redistricting now I live in Iowa. Bet next time it's Missouri! Gerrymandering? Senators are elected on a statewide basis. If she keeps this up, people will think she's as sharp as Cory Booker. Ya gotta consider that this woman is so freaking stoopid she was fired from a union job as a public school teacher in NYC. That is "stoopid" on a epic level. Where was her griping about Gerrymandering when Eric Holder was put in charge of the Rats nationwide redistricting effort?